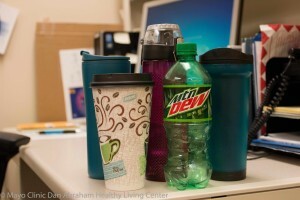 Many beverages contain a lot of calories. Your favorite large latte has over 200, add a flavor and you are over 300 calories. Choose a different size or lighter options to control your calories.